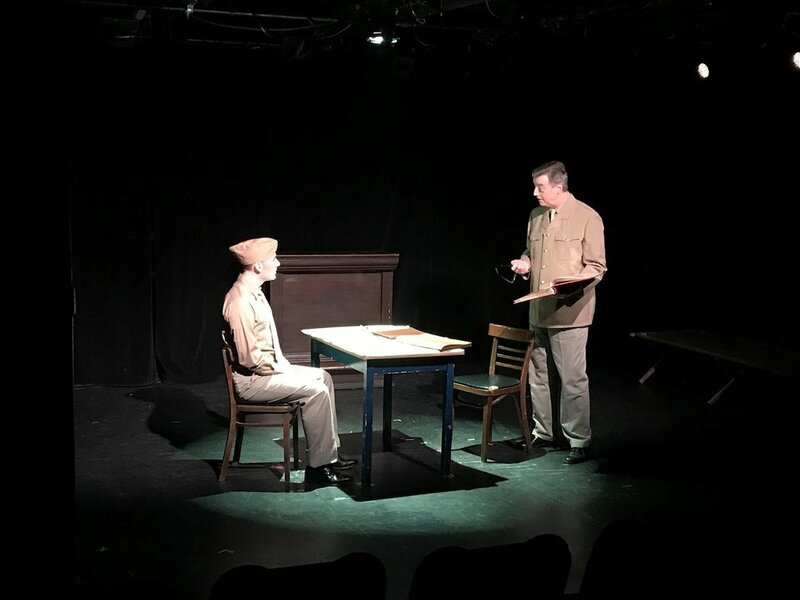 “The Glen” , set mostly in the 1940s and 50s, follows the life of Dale Olsen as he transitions through being a young man living on a farm in Northern California to joining the U.S Army. Telling a story of belonging, identity, and family, Dale must make sense of the world around him and ultimately himself. This makes for a very heartwarming and sometimes, tragic story that many can relate. At first the time jumps which went from late spring, 1951, to summer 1951, to morning after scene 1, and back to summer, were hard to follow. Though, this became easier as the play went on. The shifts in time actually became one of the things that made this play so special. This play, at its core is about Dale discovering who he is and what places, people, and things make that up. The nonlinear use of time allowed for these discoveries to been seen with a perspective that would not have been achieved using linear time. Matthew Dalton Lynch plays Dale Olsen with a vibrant optimism that anyone who has been young can relate to. For me, the heartbeat of this show was the relationship between Lynch’s Dale Olsen and his adopted mother, Myrtle (Elizabeth Bove). Wanting so badly to understand and be understood, the two played off of each other beautifully. We as the audience feel every ounce of love and frustration and hurt and fear as their scenes play out. Speaking true to many parent and child relationships, we see Dale struggling to get his mother to understand his need for independence and Myrtle’s desperate attempts to not lose her son for good. Such a story has been told time after time but “The Glen” tells it with honesty and care. In “The Glen”, Dale not only has to deal with his identity in regards to his family and home but his sexual identity as well. The build up is slow yet effective as we see the issue of sexuality in the 1950s through the lenses of a small town family in Northern California as well as the U.S Army and how these things unfolding around Dale assist in his discovery of his own sexual identity. “The Glen” was a lovely coming of age story that had me walking out of the theatre with tears in my eyes and smile on my face. I look forward to seeing where the story goes next. Featuring: Matthew Dalton Lynch, Elizabeth Bove, Len Rella, Thomas Grube, Barry Anderson, Kerry Mantle, and Daniel Stompor. “The Glen” ran February 1 – February 16, 2019 at Shetler Studios (244 West 54th Street – 12th floor).